Forgive me for a shameless plug BUT I'm so excited I have to share. 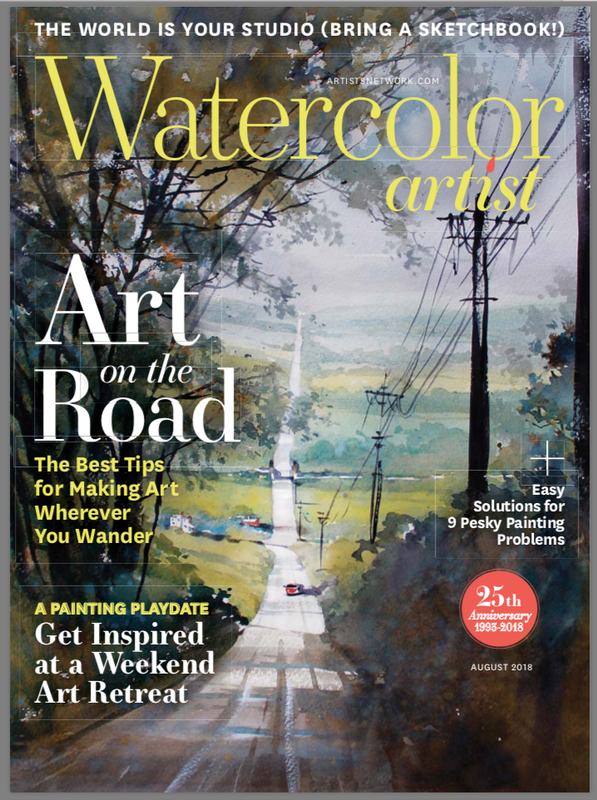 I'm featured in the current issue of Watercolor Artist magazine! A full 8 pages!!! Can you feel the ground shake? No, it's not a earthquake. It's me jumping up and down with joy! 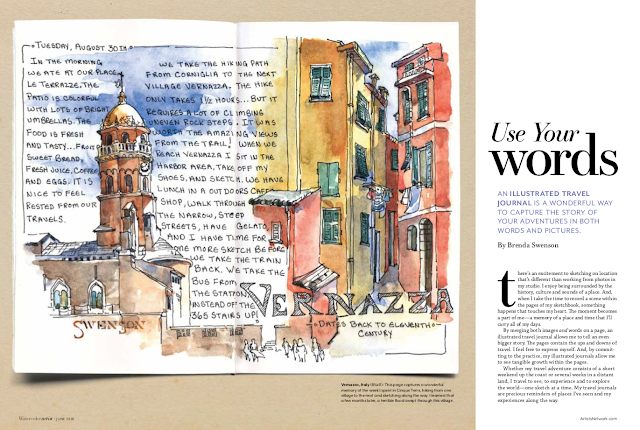 Not only is the artwork mine but I also wrote the article. So it's a double winner. Most of my life I've felt very inadequate when it came to writing. Since I've begun to share my artwork and writing with you (my blog followers) it has helped me to build confidence. I'm far from a fast writer (probably takes me twice as long) but now I can get my thoughts into words. Thank you for being encouraging followers and cheerleaders along the way. OH my gosh. Wow. Congratulations indeed. I loved my class from you up at Dillmans and have most of your books. You are the best. Congratulations!!! That is something to be proud of and excited about!!! So happy for you! This is beautiful! I'm going to check out the magazine! SUPER Exciting!!! I will go hunting for it, Big Congrats! Congratulations!!! I subscribe to this magazine and just received this issue, cant wait to open it up to your 8 page article, amazing achievement!! Tami, Thank you for the sweet words! Fantastic and congratulations! It's on my list to pick up next time I'm in town! Congratulations, Brenda! I can't wait to get my copy! Woo Hoo Brenda - Congratulations - I'd be jumping up and down, too!!! Sharon....We can jump up and down together!!! So happy for you, and so excited that I was privileged enough to take a negative painting class with such a renowned artist!! Thank you for all you have taught me! Pam, Thank you for the sweet words. Congratulations Brenda! Will be keeping this issue forever! It's a wonderful article! A really exciting and much deserved accomplishment. It's absolutely beautiful! Congratulations! Savor, enjoy, and continue to share this good news. 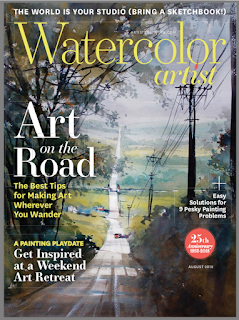 Congratulations Brenda - will be checking out this magazine. You richly deserve this recognition. So enjoy and savor it and by all means jump up and down!